Vancouver, the largest city in British Columbia, is one of the best places to live not only in Canada but also in the whole world. It has been regularly coming to the top of worldwide ‘Best City’ studies. Its charms include a wonderful and friendly atmosphere as well as plenty of outdoor and indoor activities. You can take part in numerous celebrations, festivals, and sporting events all year round in Vancouver. After the eventful day, you can stay in your spacious hotel suite, visit some Vancouver casinos and enjoy the delicious meal delivered to your room. 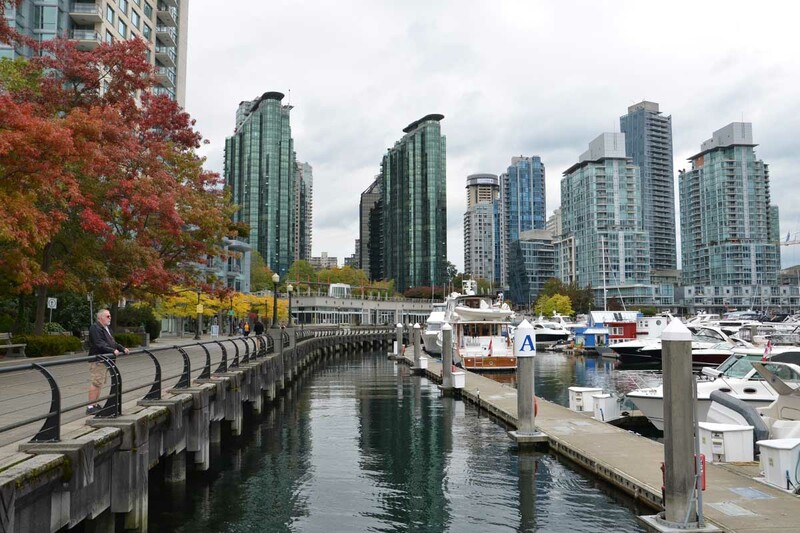 As was mentioned above, Vancouver consistently ranks among the world’s most livable cities. The Economist Intelligence Unit placed it third in its recent report and according to the Mercer Quality of Living Survey, it’s fifth. In fact, Vancouver has been named the city with the highest quality of living in North America, and the fifth highest quality of living in the world, for the second straight year. These studies take into account factors like safety, health care, educational resources, infrastructure, and the environment. Naturally, Vancouver residents take pride in the city’s status as one of the world’s best cities to live in. Vancouver is clean and livable, which results from a combination of its beautiful physical surroundings and the government’s strong environmental policy. The city is naturally green and scenic, surrounded by the Pacific Ocean, the wilderness and snow-capped mountains. One of the world’s largest (1,000 acres) and most beautiful urban green spaces, Stanley Park, can also be found here. There are many more parks scattered through Vancouver and plenty to lure wildlife lovers within striking distance of the city. You can take a car ferry over to Vancouver Island or climb Cypress Mountain, Grouse Mountain or Mount Seymour. You may also choose to venture just a little further north to enjoy the linked resorts of Whistler and Blackcomb, making up one of the largest ski areas in the world. Vancouver also has a great multicultural environment. The high standard of living here has attracted people of all nationalities for decades, making Vancouver one of North America’s most cosmopolitan cities. The variety of languages spoken here besides English is astonishing. Among the benefits of this diversity is the incredible variety of foods in both restaurants and markets. The Canadian ideal of a multicultural society has blossomed in Vancouver with colorful cultures from all over the globe, peacefully coexisting together. The list of entertainment in Vancouver is diverse and endless, ranging from theatre, music, art to countless outdoor activities. For example, you can engage is skiing, golfing, hiking, tennis, cycling or sailing – all within the Vancouver metropolitan area. Since outdoor recreation is really popular in the city, Vancouver residents are more healthy and fit, compared to the rest of the Canadian population. While the average adult obesity rate in Canada is around 23%, it’s only 12% in Vancouver. The city also boasts longest-lived people in Canada, which must be the result of its residents’ active lifestyle and well-developed healthcare sector. It’s no wonder that Vancouver, the world-class Pacific city, is proving so popular. Its mountains, sea, big skies and wide streets are welcoming to visitors from any country. The city is also a wonderful place to live in for its residents as the social environment, healthcare, education, and public services are among the best in the world. There are many reasons why you should start planning a trip to Vancouver or even considering relocating here. It’s a city of mild climate, friendly people and breathtaking scenery, which you’d want to return to as soon as you head anywhere else.